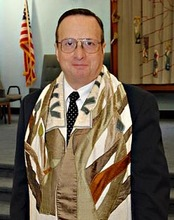 Rabbi Jeffrey W. Goldwasser came to Temple Sinai in 2014. He has brought new energy and spirit to the congregation and he is recognized as a leader in Rhode Island's faith community. Rabbi Goldwasser has innovated new styles of worship at Temple Sinai – including meditation services, Visual T'filah, summer services on the beach, and more. Rabbi Goldwasser's adult education classes have included courses in Talmud, Jewish mysticism, Jewish Sacred Aging, and more. He also has led joint courses with Holy Apostles Catholic Church investigating texts that Judaism and Christianity share and deepening the relationship between Jews and Christians. Rabbi Goldwasser serves on the Social Action Task Force of the Jewish Alliance of Greater Rhode Island. He is also on the Steering Committee of the Rhode Island Interfaith Coalition to Reduce Poverty. In 2016, he was the recipient of the Jewish Alliance's Tilles Award for service, leadership and commitment to Jewish community relations. He was a winner of the Reform Movement's Fain Award for Social Action in 2011 for a program to bring weekend meals to homebound seniors. He previously served congregations in North Adams, Massachusetts, and Stuart, Florida. Rabbi Goldwasser and his wife, Jonquil Wolfson, are the parents of two daughters, Talia and Eliana. Read Rabbi Jeff's policies on wedding officiation. 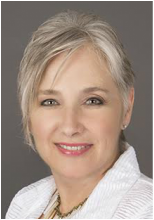 Cantor Deborah Johnson begins her tenure at Temple Sinai in August of 2016. She earned her Cantorial Certificate in Jewish Sacred Music at Hebrew College in Newton, Massachusetts, and most recently, was Cantorial Associate at Temple Habonim, Barrington, with a High Holiday appointment at the Oahu Jewish Ohana in Honolulu, Hawaii. Deborah began solo singing at the age of five, when she was asked to sing "Rudolph the Red-Nosed Reindeer" at her school's winter concert and forgot the words; she hummed. She has since worked as a folk and blues singer and for several summers, sang Renaissance music at the American Shakespeare Theater in Stratford, Connecticut. Most important, her engagement with Jewish music began as a soprano member of Zamir Chorale in Boston, as lead singer in the klezmer band, Mashke, also based in Boston, and as substitute lay cantor at Temple Beth-El in Providence. Deborah has a PhD from Brown University and is Professor of Art History and Women's Studies at Providence College. She is the lucky wife of Dr. Robert Serinsky, and the mother of two lovely daughters, Leah and Chloe. Cantor Deborah is more than delighted to join Temple Sinai – and almost never forgets the words to our prayers. Cantor Remmie Brown is our congregation's beloved Cantor Emeritus. Before his retirement in 2014, Remmie's beautiful and spirit-filled voice led our congregation in prayer for 34 years. Join us in wishing Remmie a wonderful retirement as he remains a vital part of our congregational family. In June 2018, Cantor Remmie joined Cantor Deborah Johnson and Shireinu in leading our third "Broadway Shabbat." See the video below of a wonderful evening of prayer and song.